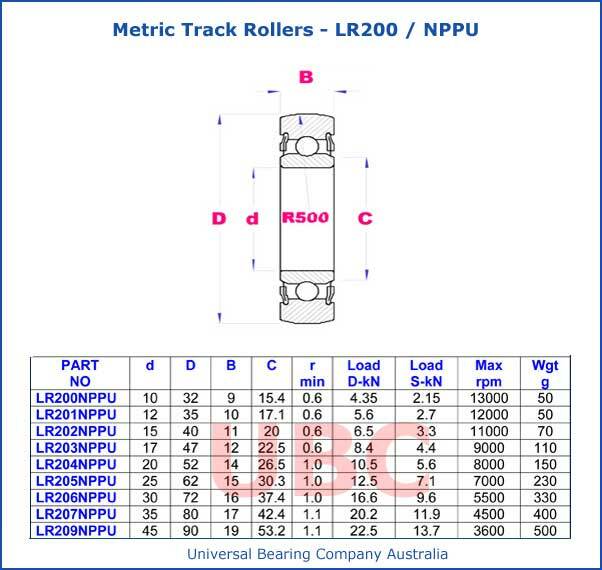 Metric Track Rollers LR200 NPPU Universal Bearings Company UBC Specially designed to withstand heavy rolling or shock loads on track type and cam controlled equipment for automotive industrial and airframe applications. Constructed from balls rollers or an economical sector pin design. Materials such as carbon steel high alloy steel stainless aluminum engineered polymers. Inch or metric dimensions. Threaded non-threaded or eccentric shafts. 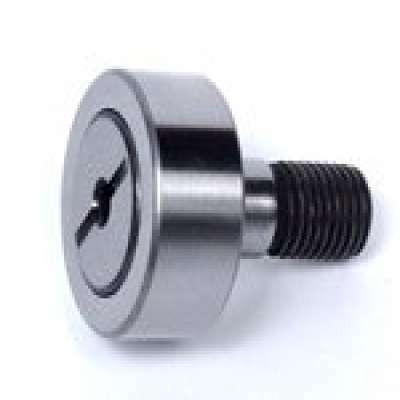 Screwdriver slot hexagonal socket or hexagonal shaft mountings.Cylindrical or crowned outer ring profile. Lubrication to accommodate varying temperature extremes. Sealed or un-sealed designs and multiple coatings plating\s and post treatments available for different manufacturing environments.